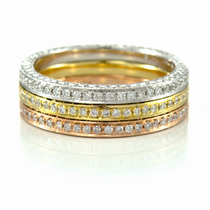 Weddings, anniversaries and other important events call for the finest quality in terms of gifts. 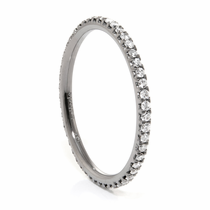 That�s why so many guys look to Titanium Jewelry to get beautiful eternity diamond bands for that special someone. 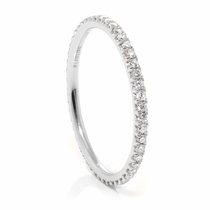 This collection of thin, feminine diamond bands includes simple yet stunning looks that fit her style while still fitting your budget. And unlike typical jewelers, we don�t just offer silver bands with white diamonds. 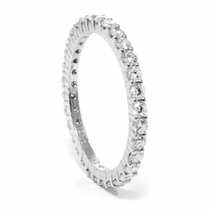 In addition to that timeless look, you�ll also find a variety of band colors, band materials and diamond colors when you shop for women�s diamond wedding bands at Titanium Jewelry. 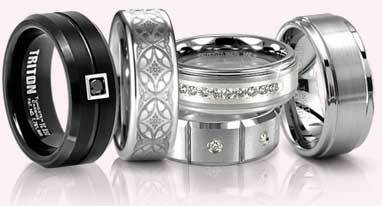 That ensures that, no matter what style she likes, you can get her a ring she�ll love at a price you can afford. 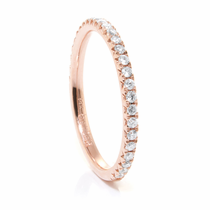 When it comes to band colors, many women today love the soft and feminine look of rose gold. 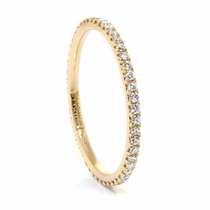 This color provides a great balance between our silver and gold options. 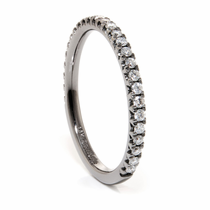 In addition to the color options for the band, you can also select diamond stones that align with her tastes, whether that�s black diamonds or white diamonds. 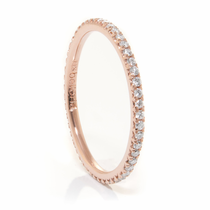 And when it comes to price, you can choose any option and feel confident you�re getting a high-quality, long-lasting product, whether it�s a 14K white gold band or an 18K rose gold band. 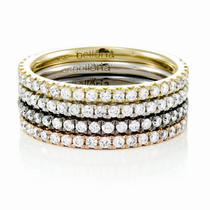 For those truly special occasions, you may even want to splurge on a luxurious and elegant set of staking diamond bands that let her mix and match the rings she wears. 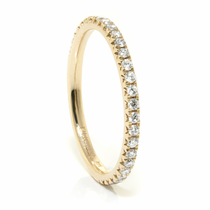 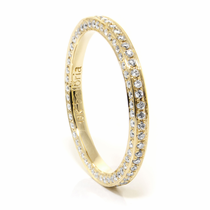 Because they are so traditional and timeless, you really can�t go wrong with eternity diamond bands. 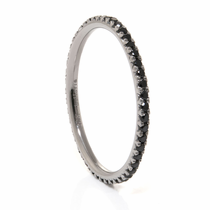 They�re classic, they�re chic and, when you buy yours from Titanium Jewelry, they�re also affordable. 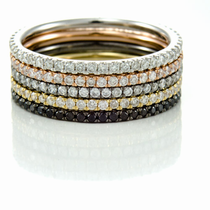 One of the things you�ll love about getting your band from us is that every purchase includes a 30-day money-back guarantee. 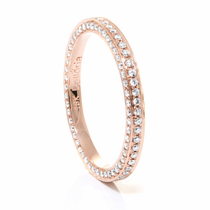 So if she doesn�t absolutely love the color or style, you can return the band hassle-free. 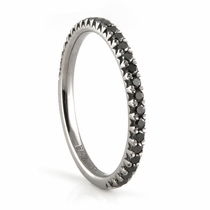 Plus, every band comes with a 5 year warranty.